11:30am—King County Master Gardeners Jessica Klein DiStefano and Linda Jean Shepherd will give an illustrated talk: "Master Gardeners’ Hints for Growing Vegetables." 12:30pm—Krista Rome of Resilient Seeds will be back this year, sharing her extensive knowledge of seed saving. She will offer her seeds for sale also. Krista grows her resilient seeds on a one acre farm in Whatcom County with the vision of helping gardeners develop true food resiliency on both a home and a community scale. 1:30pm—Seth Thomas, educator and former nurseryman will again be speaking at this year's exchange. Seth's topics: "What to Plant and When to Plant–the joys of successive planting." He will include information about where to plant things in your garden. 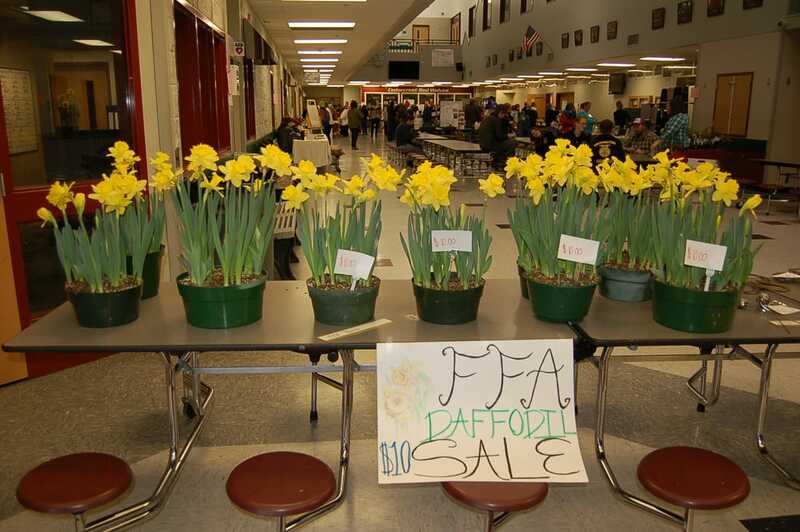 Cedarcrest High School Future Farmers will be selling beautiful potted and flowering bulbs, and shop students will be selling durable garden art. The FFA club is able to accept card payments for bulbs. Some will have items for sale. Some will be able to take credit/debit cards for purchases but others will require CASH. The High School Commons Room will give us ample space again in 2017! Giant THANKS to the Cedarcrest High School Horticulture program and Future Farmers of America club for hosting us a second year! However, bring cash to purchase garden art, bulbs, and seeds & supplies from our vendors, and to contribute donations for lunch at the Seed Cafe. Some of the vendors will be able to accept card payments. Your donations to the seed exchange help us pay our basic expenses. The SEED CAFÉ will serve simple but hearty and delicious snacks and lunch, from noon until supplies run out. Your donations for the Seed Café items help keep the seed exchange going. Check back here for scheduled times.